Project Update | RV There Yet? 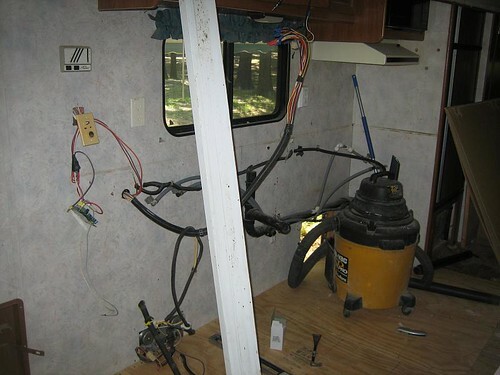 I’m sure you’ve been wondering how that ‘ol trailer is coming along. 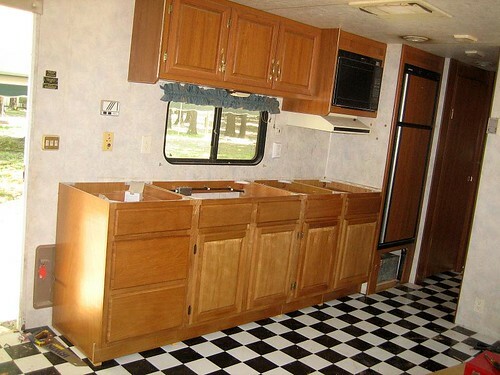 Well, remember the kitchen area? Of course, all of this rehab could not have been accomplished without a several trips to Home Depot. 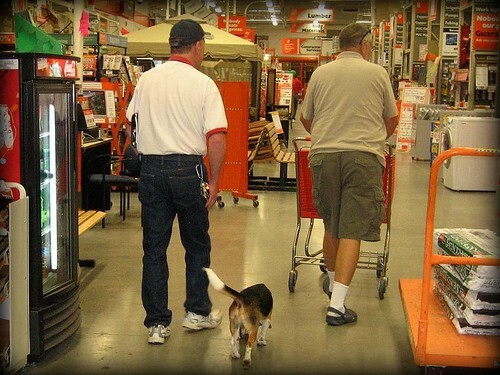 Since yesterday’s list was especially long, Gary and I met the boss at HD for a little shopping. I’ve been in many, many Home Depots, but this was a first for me! Made me feel like I was at the Hank’s Hardward Store, instead of a huge “home improvement center”. Bonus – since we were already in town, it solved the problem of what to cook for dinner. The good folks at that new little restaurant on the town square did just fine! Wow! That’s some transformation! It looks great. I love the little valance that stayed on the window through it all and the Beagle at HD.